situation would turn out to be a civil war like Syria’s turmoil. For those who follow Ethiopia’s current affairs, Tsehaye is known for being good with bold-faced lies, and bad with being true. He is a pathological liar and an untrue to himself. To mislead and rouse Tigrayans, he told them his habitual bold-faced lie that the chauvinist Amhara’s are coming to slaughter you. He lied to them about the Amhara’s peaceful protesters request which is a demand for a regime change because of the TPLF’s leadership failed. They didn’t ask their brothers and sisters – the Tigrayan people – to leave Gondar. He lied to his captives, the Tigrayans, because he needs to use them as a human shield, to hide the TPLF’s hatemongers as well as himself behind the skirts of the Tigrayans’ women. Quite different from Tsehaye’s disinformation campaign on the Amhara and the Oromo people, Helen Hailu intimidated and demeaned the Amhara and the Oromo people who live in the USA. She also threatened to commit hate crimes against them in her rambling hateful speech on YouTube video. She said that she would harshly punish them under the cover of darkness. And also, she called them names: donkeys and Gallas since she regarded them as her inferiors. With an air of superiority, she said that they (the TPLF) would keep ruling them as burros as she used to rule her grandmother’s asses in Tigray that by beating hell out of them with a stick. As Tsehaye’s false allegations about the protesters, Hailu’s assertions are also driven by hate, hostility and an unfounded superiority complex over the Amhara and the Oromo people. Her Tigrayan ethnic group is about six percent of Ethiopia’s population, but ninety-four percent of Ethiopians are under the mercy of her ethnic group’s elite. I believe that hate killed the hatemonger Meles Zenawi at a young age. And it made him linger in purgatory without his $3billon which he stole from the starving Ethiopian children, women and men, including the Tigrayan people. If he was an ethical person who made “love the compass by which he traveled”, he may have been able to make great things happen for his family (besides inheriting the billions of dollars he embezzled). In addition, the TPLF and the Tigray’s people would have benefited if let them inherit power and the throne which are restricted by the constitution and laws. Unfortunately for his family and his handful of abettors, the TPLF’s elite, he was a monster dictator who loved his power and money more than anything else. As a result, he let them inherit a rotten regime that is incapable of implementing its own constitution and laws which it forced on its servitude, the people of Ethiopia, twenty years ago. Due to his failed leadership, today the TPLF is unstable, and it is failing. It’s keeping a grip on power through his special security forces manned by Tigrayans only. Ethiopians are peacefully protesting across the country demanding a regime change while being shot and killed by the TPLF’s murderous Agazi security force which is led by Getachew Assefa, one of the Tigrayan elite. 1. To the Tigrayan people, the TPLF championed its hate propaganda against the Amhara people in its poems and songs when it was an insurgent attempting to seceding Tigray from Ethiopia. 2. Zenawi told the Tigrayan people that they are the golden people; he is proud to be one of them. Put differently, he let them know that they are first class citizens of Ethiopia which its corrupt elite are entitled to abuse, murder and loot Ethiopians’ resources, including Tigrayan. Shh! In politics, fascism is “an extreme political system in which people’s lives are controlled by the state and no political opposition is allowed.” For example, in Tigray, people’s lives have been absolutely controlled by the TPLF’s fascist elite for the last 25 years. According to most Tigrayans, the TPLF grossly violates and disrespects their human rights in Tigray more than anywhere else in Ethiopia. They think that under the TPLF’s yoke of oppression, the people in Addis Ababa have relatively more freedom of speech than the people in Tigray, yet Zenawi told them that they are the golden people. To explain, Tigrayans who tend to criticize the TPLF would be abused, intimidated, imprisoned at secret makeshift prisons and/or made to disappear by the TPLF’s notorious securities. 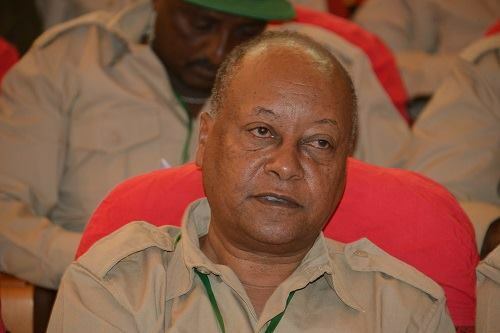 For example, first, to my knowledge, Siye Abraha – whom I admire after he was released from prison – was purged from the TPLF’s central committee membership against the party’s bylaws and sentenced and imprisoned for a long time for crimes he didn’t commit. And his children and wife were made to suffer just because he critiqued the TPLF’s leadership shortcomings. Second, no Tigrayan opposition party’s member ever won an election since the TPLF took over power by force twenty five years ago. Third, the TPLF rigged the ballet boxes of its last fake election and claimed it won 100 percent of the Tigrayans’ votes, in turn, the Ethiopians' vote democratically. To the world’s shock, Barack Obama strongly agreed with the TPLF’s claim during his visit to Addis Ababa last year. And he confirmed to the world that the TPLF/the EPRDF won 100 percent of the votes democratically. Since Obama’s visit, Ethiopians are peacefully protesting to demand a regime change. To Obama’s surprise, under the watch full eye of the protesters cellphone cameras, the TPLF’s Agazi sharpshooters fired upon and killed hundreds of protesters in the Oromia and the Amhara regions. They detained thousands of them across the country at unknown makeshift prisons without charge and access to their family and/or lawyers. Helen, an Amhara and Oromo beater! Though Helen Hailu’s low standards and bad personal qualities made her unfriendly, I think uncovering herself in her intolerable hate talk YouTube video was a blessing in disguise for her. She received via social media a myriad of insults, condemnations and constructive criticisms which might help her to open up her closed mind. Moreover, it may lead her to learn respecting other people’s points of view, cultures and languages, and to be opinionated based on facts, which might help her to grow to be a sociable woman. Based on people’s reactions on social media to her hostile remarks, the Amhara, the Oromo, not to mention the Eritrean people become more unified. They denounced Hailu’s derogatory comments, and they showed their solidarity against the TPLF at this difficult moment of Ethiopians’ history. The TPLF declared an all out war against the Amhara and the Oromo people just because they used their freedom of speech and peacefully requested the TPLF to implement its own constitution that it imposed on them about twenty years ago. I think Helen Hailu was brainwashed by the TPLF’s abettors such as Abay Tsehaye and Sebhat Nega. Since she was misled, disinformed and biased towards the TPLF, she blindly supports its fascist regime. As a result, she is prejudiced and bigoted against the Oromo and the Amhara people. She is also intolerant of their cultures and languages; for instance, she said that she hates speaking Amharic. I think it’s one thing to be knowledgeable and evil as the TPLF’s tyrannical leaders. For instance, Nega and Tsehaye are cruel old men who knowledgeably chose to be wicked, corrupt and foment hate among Ethiopia’s ethnic groups in order to stay in power and to keep looting and embezzling Ethiopians’ resources. It’s quite another thing to be ignorant and brainwashed and as hateful as Hailu. I think she is hateful because she is a victim of the fascist TPLF disinformation campaign on the Oromo and Amhara people. To explain, in her mind, she believed that she was fighting a good fight against them. Since the TPLF took power by a military force, it never made an effort to earn its servitude’s trust and respect. So its legitimacy is always undermined by Ethiopians, not to mention “the golden people of Tigray”. After claims of winning the last election by 100 percent of the vote about a year ago, the TPLF has become increasingly unable to govern because its ethnic federalism failed; its government led economic policy became unsuccessful, and its leadership’s institutionalized rampant corruption got out of hand. Finally, based on Helen Hailu’s hostile remarks against the Amhara and the Oromo people, I reflected on the fascist TPLF’s failed leadership. And I underscored a fact that the TPLF doesn’t care for the ordinary Tigrayans’ women like Hailu, but it brainwashed them in order to use them as its human shield. The TPLF’s political and economic ideologies failed because Zenawi misled the TPLF’s leadership. That he gave them the constitution and laws in paper which he never intended to implement because he loved his power and money more than anything else. Because of that, he deliberately let them inherit a rotten, failing regime. On New Year’s Day, with my fellow Ethiopians, I am mourning the death and imprisonment of the countless Amhara and Oromo protesters whom the fascist TPLF murdered by its Agazi security forces. I used most of my New Year’s Day to finish writing this article while hearing the Oromo and the Amhara martyrs’ whispers “Hope smiles from the threshold of the year to come, 'It will be happier' [because the TPLF is failing]”. I am more certain than ever that the TPLF’s monster criminals would be served justice faster than their expectation. Hopefully, as we usher in the New Year, Ethiopians would have a new government which would govern itself according to a constitution and laws. I am thankful and overwhelmed by my readers’ reactions to my last article titled Redwan Hussein Embarrassed the TPLF because I noted that more than five-thousand readers shared it on their face books and other social media accounts from ECADF and ZeHabesha websites shortly after it was posted.